London Transport Museum, Covent Garden, until 28 October 2012. Frank Pick, the London Underground system’s legendary manager, believed good design was good for business.He commissioned a typeface for the network from Edward Johnston and modern stations from Charles Holden. Pick applied a corporate identity before the term had been invented. Explaining the capital’s complex series of underground lines to users has been a key part of the network’s marketing and an exhibition at the London Transport Museum in Covent Garden (‘Mind the Map’, until 28 October 2012) focuses on the organisation’s use of cartography and diagrams over the past hundred years. Essentially it’s a story about two different approaches to the map: the informational and the decorative.The underground’s network map is now an icon of information design and through a series of examples the story of the emergence and development of Harry Beck’s diagram is made clear. There were network maps before, but Beck freed it from the constraints of following above-ground geography. 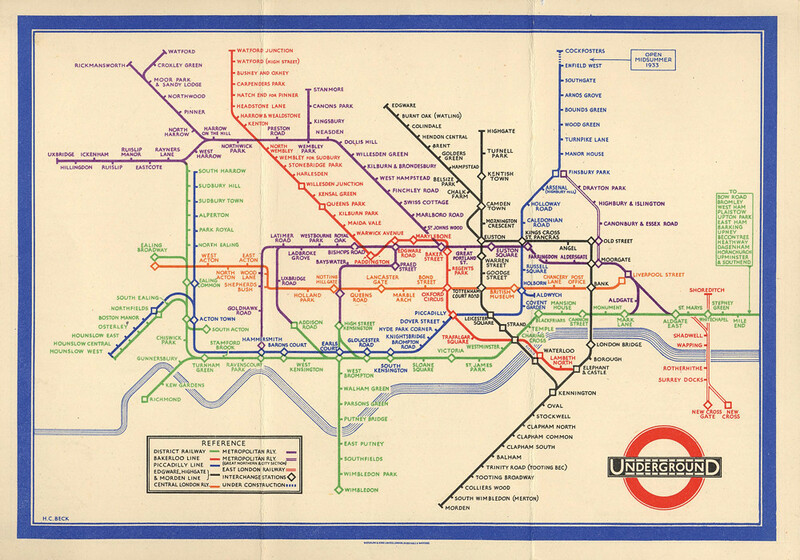 But maps were also needed in publicity to encourage off-peak and weekend use of the tube. MacDonald Gill’s huge posters, with an illustrative approach harking back to seventeenth-century cartography, are the revelation of the show. ‘Theatre-land’ from 1915, links above-ground locations in the West End to tube stations and also contains vast amounts of witty detail and cartoon-bubble style annotations. MacDonald Gill’s ‘Theatre-land’ from 1915. 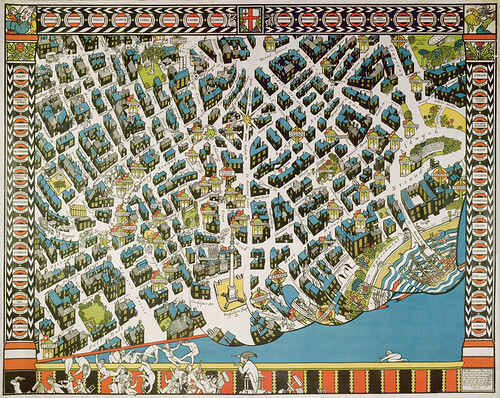 Top: Henry Beck's first pocket map from 1933.